The enchanting harmony of fresh ingredients of the season. 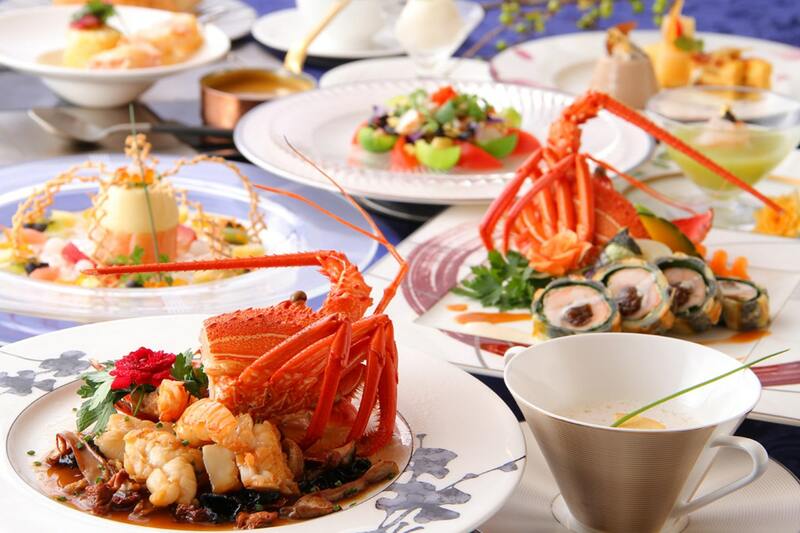 From the wild and voluminous Tosa dishes, to the colorful and dainty Kaiseki, as well as a luxurious full course meal. Our top chefs carefully select the best ingredients of each season, and complete each dish with passion. Experience the magic of blessings and warm hospitality from Tosa. 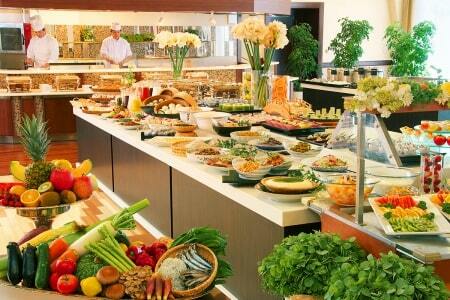 We proudly offer you 60+ kinds of delicious breakfast dishes at Jyoseikan. Not only is this the greatest variety in the Kochi area, the menu changes each day, allowing you to enjoy your breakfast even if you stay with us for multiple nights. 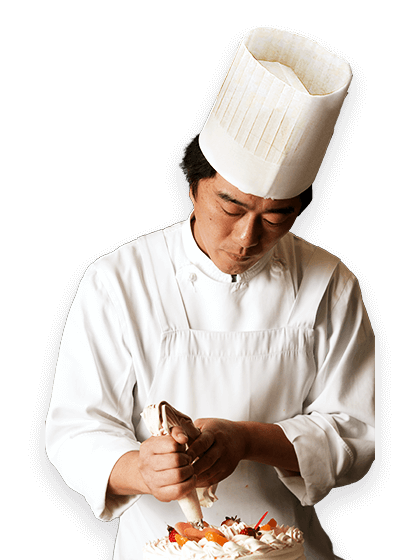 See a dynamic performance of cooking seared bonito (tataki) with straws! 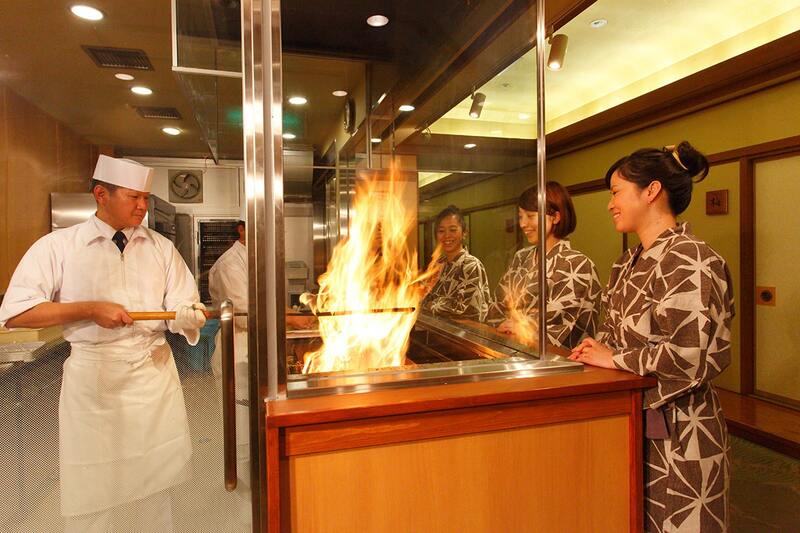 At Jyoseikan, you can see the cooking process of bonito tataki (seared bonito). 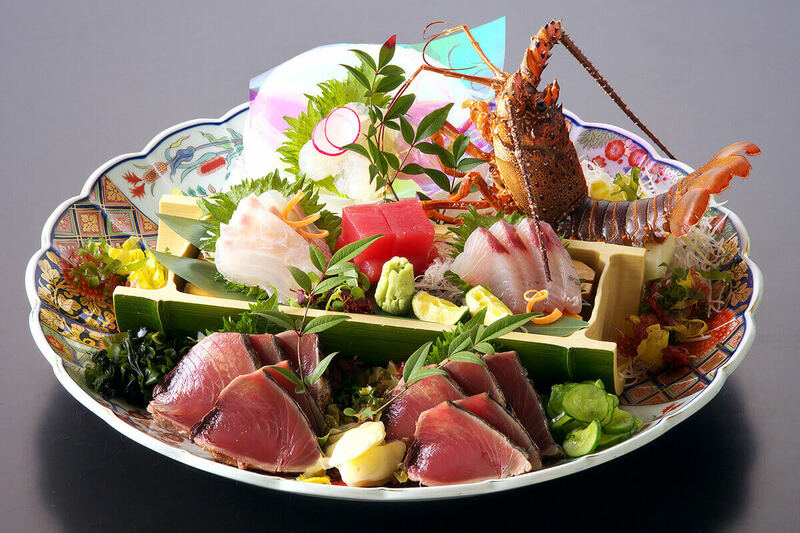 Platter dishes "Sawachi ryori" in Kochi are simple and wild - put Sashimi, bonito Tataki, Sushi, and seasonal fresh food from the sea and mountains on a traditional china plate like Arita and Kutani. 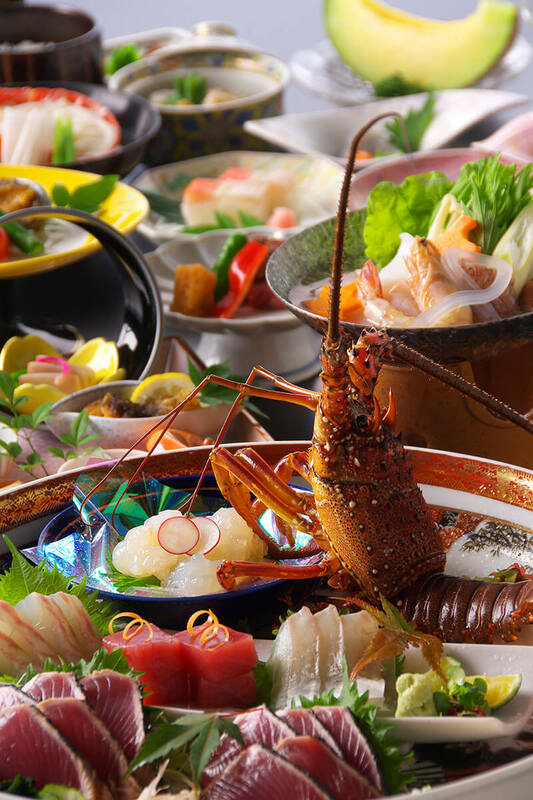 In other words, "Sawachi ryori" is not the way to cook - it shows the freedom and wilderness through its presentation, and the way people eat the dish. Share the platter dish with everyone and take what you want on your plate. It represents the spirit of the people in Kochi who love the freedom and do not care for formal rules. You might imagine that as a ryokan, we would mainly serve Japanese dishes. 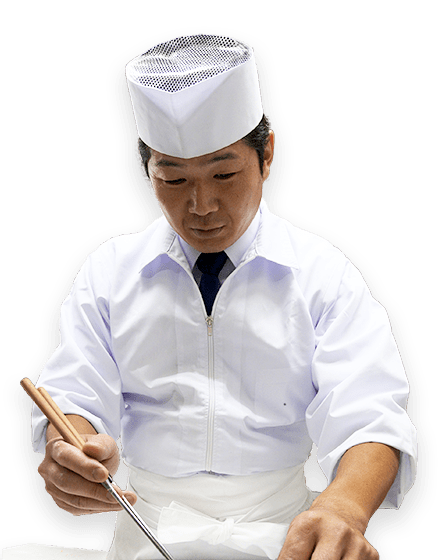 Jyoseikan will greatly exceed your expectations. One of our greatest features is that we offer high-quality Western dishes. As we are located in the central area of Kochi city, we conduct the largest number of weddings in Kochi. Naturally, our wedding menus and party courses have earned excellent reputations. How can I creat inspirational dishes with all the great local ingredients?  What kinds of dishes or menus would make guests happy? In order to achieve these goals, I never compromise and aim at what is best. 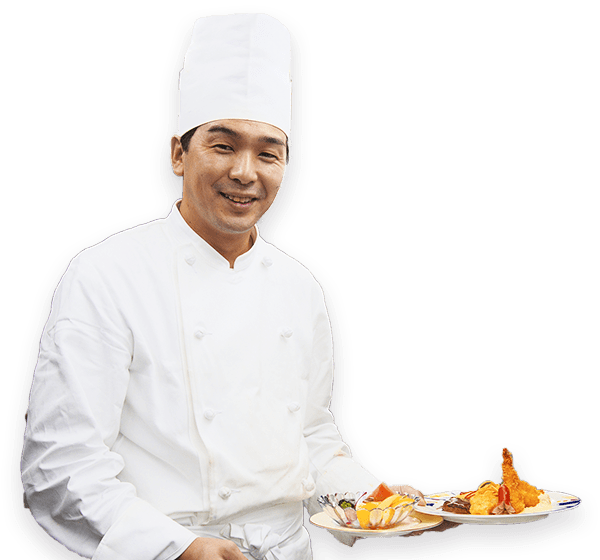 I would like to be a chef who hertily expresses the true hospitality with an honest cuisine. This is so delicious!!. Hearing this from our guests - that is the moment I am waiting for. My goal is to make sweets that can excite you when you see them, and thrill you when you eat them. I have three children myself. As a parent, I totally understand that children want to eat something delicious! I cook each meal wholeheartedly so that all children can smile and finish the dish.